Entrepreneurial Product Manager, UX Designer and former founder with experiences launching impactful products end-to-end. 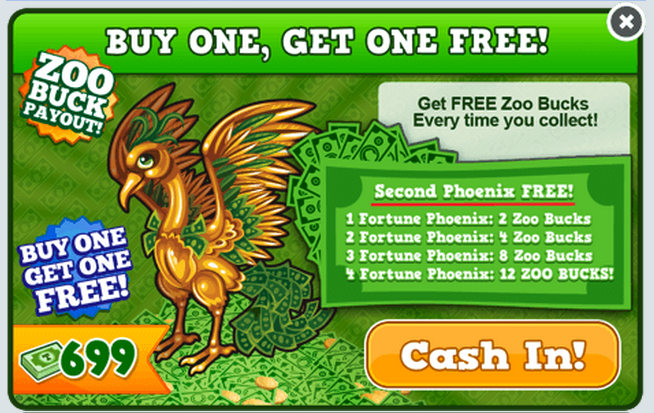 Much of my time as Lead Product Manager at TinyCo was spent as the Product Owner of Tiny Zoo Friends. Tiny Zoo Friends is a casual free-to-play zoo simulation game for iOS. Still available now, Tiny Zoo's heyday was Sept 2011 through early 2013. Under my leadership, Tiny Zoo reached #1 top grossing in the US multiple times and maintained a coveted spot in the top 100 for a solid year. Tiny Zoo Friends is one of TinyCo's top grossing games of all time earning multiple-millions of dollars. As the Product Owner, I was responsible for the overall success of the game including revenue, prioritizing a feature roadmap, executing on new features and maintaining player happiness. I managed the team of up to 12 members split between an external engineering team in Argentina and a production team in-house. Image shown to players to describe new goal features. 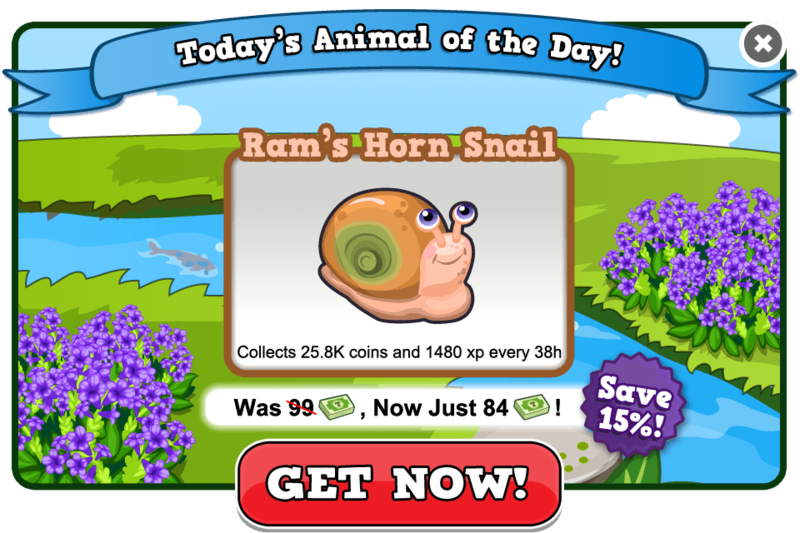 Tiny Zoo Friends retained users long-term by featuring new content and events on a regular basis. Within the first few months of live operations, Tiny Zoo already had hundreds of animals and decorations to choose from. The goal system had become a vital mechanism for surfacing this content and keeping players engaged with it. However, the player could only access two of these mini-challenges at a time and it was becoming increasingly difficult to find the associated content in the shop - it required multiple pages of scrolling to find the right item. I decided to tackle this usability issue to improve our ability to surface new content to users and engage them with exciting story-driven challenges. 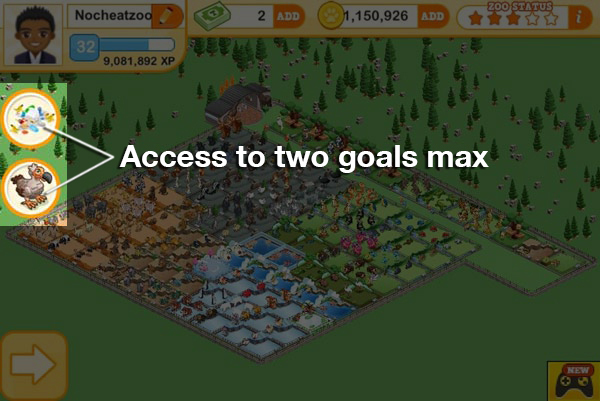 As you can see above, the new goal book icon does not encroach on the player's playspace. Also notice the highly-visible countdown timer indicating how much time the player has left to complete the goal. Tapping on the goal book icon reveals a scrollable list of active goals in their priority order. If the player has not yet seen a goal's task list, a "NEW" badge appears above it's icon. Adding the simple 'GET' functionality to the task list improved usability immensely and reduced frustrations for new users as well as existing users. Overall, players were delighted by the new features and our team was thrilled to be able to market more content effectively and engage players in more events. Win!